I missed the fluffy white clouds today, by the time I managed to get out shooting the sky had turned to a blanket of white cloud, so I turned the camera on these chaps instead. 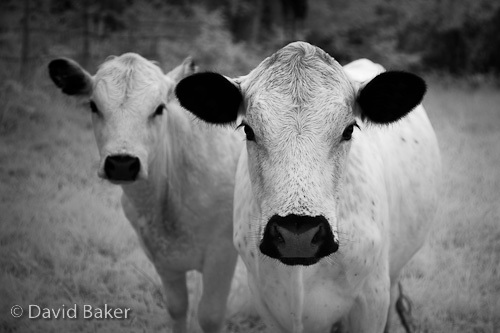 They are actually white cows with dark ears and noses, I had the feeling they be quite effective in infrared. ~ by David Baker on 28 May, 2010.